The latest technology trend is right up my son’s alley. It’s eSports, people playing high-end video games for serious money. Only video games press the power of the latest chips and systems. Every other application set, especially my own work in writing about technology, or my son’s academic work, learning about how to create new molecules, can be done with relatively low-end gear and a cloud connection. Think of this as Volume 17, Number 35 of the newsletter I have written weekly since March, 1997. Enjoy. This Clue is a bit late getting posted because I was having my first long vacation in three years. I learned a whole lot. And the most important lesson is this. The best way to illustrate this is with our visit to England. We're supposed to be a lot like England. They're our best friends. We can understand them when they speak, sometimes. But on questions of morality, it turns out we're not like them at all. Think of this as Volume 16, Number 15 of A-Clue.com, the online newsletter I've written since 1997. Enjoy. Countries aren't people. There is no austerity fairy. Traders like action. Action is all they create. While most in the media are talking about how video gamers solved a long-standing problem in AIDS research, correctly identifying the structure of a virus, I think the open source angle matters a lot more. Because this was open source science. Instead of holding the problem within a small community, a proprietary approach favored by both universities and corporations, the problem was let out into the wild, through a video game system called Foldit, and solved within 10 days. Credit goes to the Foldit Contenders Team, wrote a player named "mimi" who journalists were trying to give credit for the final solution. "It was the changes made by my colleagues that enabled mine to work, so it was very much a team effort," she wrote. Sony's claim that the online advocacy group Anonymous hacked its Playstation 3 network, enabling the theft of personal data from millions of users, has been laughed away by the group. For once we didn't do it, states a blog post at Anonops, which has in the past been a reliable port into the group's actual aims and claims.The post was linked from the Anonops Twitter feed, which also called Sony incompetent. The charge by Sony, which is based in Japan but now run by an Australian, former CBS head Howard Stringer, is made under the signature of Kazuo Hirai, Chairman of the Board of Directors of Sony Computer Entertainment America. In support of testimony to a U.S. House subcommittee, it states "We discovered that the intruders had planted a file on one of our Sony Online Entertainment servers named “Anonymous” with the words 'We are Legion.'" The only other bit of "evidence" Sony offered is that, so far, no credit card transactions have been consummated with any of the compromised data. Anonymous is known for attacks with political rather than financial motives. Since the data theft on April 26, Sony has revealed that it didn't protect user passwords with encryption, only with a simple hash. A-Clue.Com will cease in its present form at the end of the year. It will be moving here, becoming a regular weekly feature of the DanaBlankenhorn.Com blog. To celebrate this change I have five essays on the main topics this blog has covered in its decade of e-mail existence, looking mainly at their present and future. First, last week, was e-commerce, the original beat here. Today I have an essay on Moore's Law. Next week features The World of Always-On, then we go on Political Cycles, before finishing up with a big Internet Future essay. 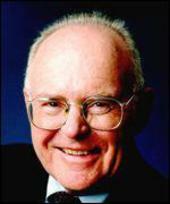 Gordon Moore doesn't agree with me about Moore's Law. His statement from last year, that Moore's Law is dead, was narrowly drawn and true as far as it went. Fact is the closer you bring circuit lines together, the bigger the magnetic interference when you run electricity through them. Beyond that there is a theoretical limit – when lines get within 1 nanometer of one another, they cease to be separate lines. But the Moore's Law Process is very much alive. We see it in hard drive capacity, where disk sizes double at the same price every 18 months or so like clockwork. We see it in optical drives, where every few years features a dispute between manufacturers over technology that's 10 times better than what came before. We see it in optical cable, where the use of different colors lets makers pack ever-more bits down the same pipe. We see it in wireless, where improved digital signal processors enable a 802.11n modem to run 10 times faster than an 802.11b, on the same frequency spectrum. We even see it at Intel, in the chip sector. The company bit the bullet on its designs two years ago, and now pushes ahead with lower-power chip technologies and multiple processors on a chip. The quad chips of today are indeed four times faster than the single processor chips of three years ago, just as Moore's Law would have predicted. To my British friends smarting from the lickings we gave 'em in the Revolution and the War of 1812 (well, New Orleans anyway). Good news. We're at war again. And this time you'll win. The Bush Administration has declared war against the Internet, specifically that form of e-commerce known as gambling. A new law will force banks and credit agencies into cooperating with this war on commerce. Guess who leads this new industry? The British. Pictured, for instance, is Gareth Southgate, now manager of the Middlesbrough football club. Notice the shirt. The sponsor is 888.com, an Internet gambling site. Boro is just one of several teams sporting the name of gambling sites on its shirts this season. One of the regular advertisers at Manchester United, owned by American Malcolm Glazer, is BetFred, a sports gambling site. The shirt sponsor for Aston Villa, now owned by Cleveland Browns owner Randy Lerner, is another gambling site, 32red. Is the only way to fight piracy through Digital Rights Management, copy protection and industry pressure? A small games company called Stardock decided it made no financial sense, and decided to offer their newest game, Galactic Civilization II, without any of it. According to Techdirt, which quotes company officials, the game is now the top-seller at WalMart, BestBuy and at other outlets, with sales exceeding the sell-in orders. But this apparently did not please one of the DRM companies. 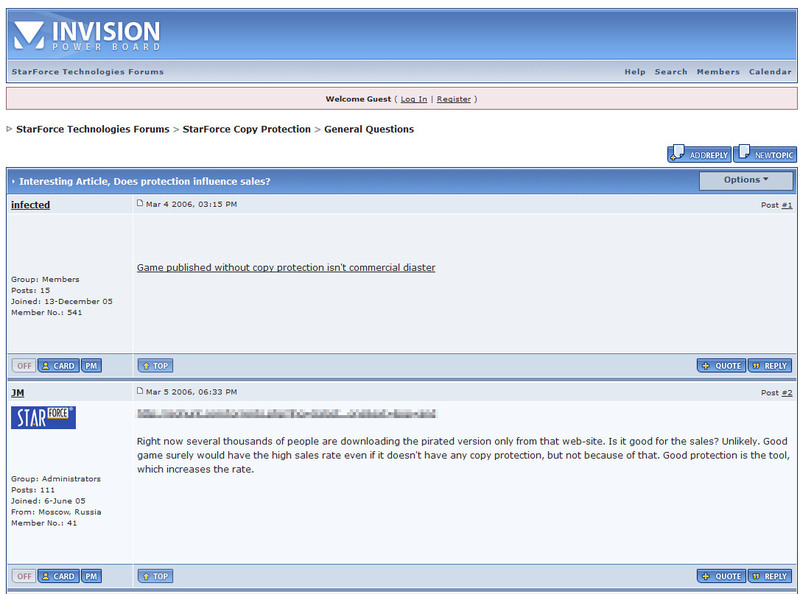 Stardock's own forum has a fascinating post up right now, charging that Starforce, which makes DRM for games, linked to the locations of pirated GalCiv code. A story based on the posting, written by a gaming journalist with a blog, is rising on DIGG's ratings right now, charging Stardock wants the game pirated.